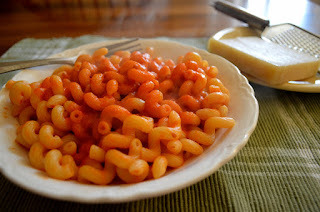 I was on a quest to find the perfect tomato pasta sauce. I’ve been making my own tomato sauce for years now. No more buying jarred spaghetti sauces. Homemade is just too easy to make. However, I was still searching for “THE" taste. While I liked the sauce from Lidia Bastianich I made a few years ago, and the home-canned one I made the following summer, both didn’t have quite the right taste I wanted. 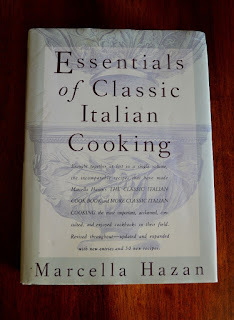 Then I heard about a sauce from the queen of Italian cooking, Marcella Hazan. Her recipe for a Cream and Butter Sauce that I posted in 2012 is one of the most popular recipes on my blog. So I pulled out my copy of Essentials of Classic Italian Cooking to see what she recommended for tomatoes. 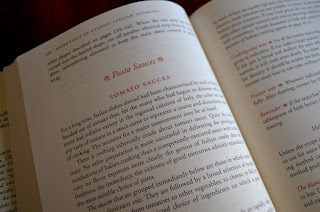 The section gives many tips for making a good tomato sauce, as well as a number of sauce recipes. 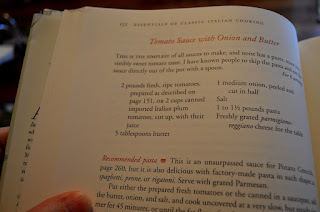 The one I was interested in is a simple sauce made with tomatoes, an onion, and butter. That's all. I’ve used butter in tomato dishes for years to help tame the acidity. In this case, it gives the sauce a smooth, creamy texture. Hazan’s recipe calls for 2 pounds of fresh tomatoes, peeled by blanching them in boiling water for about a minute and then cutting them into coarse pieces. She also says canned whole tomatoes can be substituted. I went with a 28-ounce can of San Marzano tomatoes since I can find them all year around. 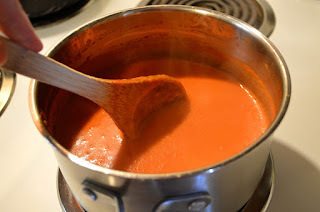 I also like a smooth sauce, so I used a hand-held immersion blender to puree it smooth, which also lightened the color. For the first batch, I followed Hazan’s recipe just as written. 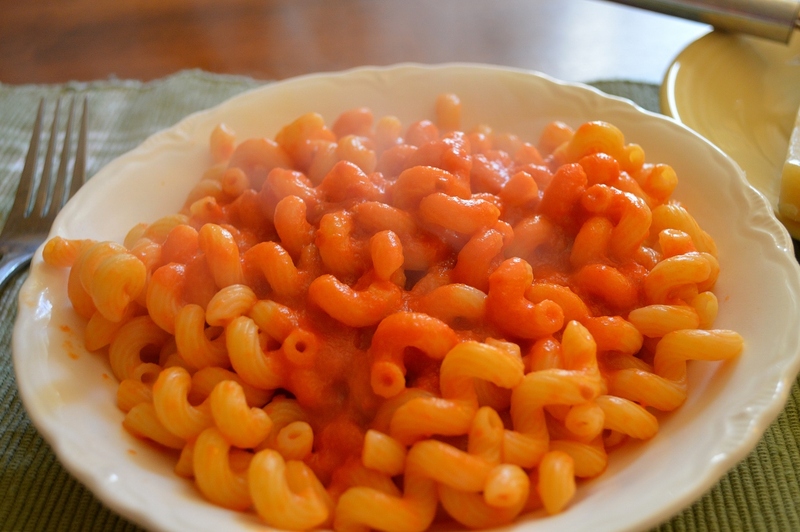 The result was a velvety sauce with a clean, fresh tomato taste. I liked it a lot, but I wanted it to taste a little more Italian. In the next batch, I added Italian seasoning. It was perfect! Next, I plan to use the sauce to make my Baked Ziti, and as pizza sauce. I also plan to give it a try with fresh tomatoes once they are in season. I think I’ve found THE sauce! Put all the ingredients except for the salt into a large saucepan. Bring the mixture to a low, steady simmer and cook uncovered for 45 minutes, or until the mixture reaches the desired thickness. Stir occasionally and break up the tomato pieces. For a smoother sauce, remove the onion halves and puree with an immersion blender or in a blender to the desired texture. Add salt, to taste. Make pasta according to package directions and serve topped with the sauce and grated parmesan cheese. Leftover sauce may be frozen. Congratulations on finding "THE" Sauce, Linda! It sounds amazing. I've never added butter to tomato sauce before but, now that I think of it, it sounds quite intriguing. (I usually add a pinch of baking soda to tame the acidity:) If it's good enough for Marcella Hazan well, then it is most certainly good enough for me! I love her books! Sounds delicious. I agree with Louise. It does sound like a perfect pizza sauce as well. 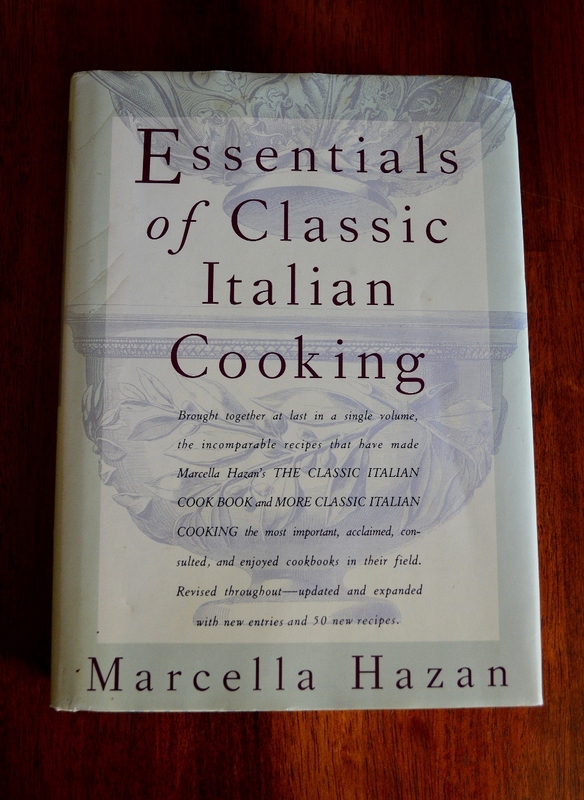 Marcella Hazan is one famous cookbook author whose recipes I have not tried. You make me even more convinced that I ought to get that book! The recipe looks both simple and good.